Transportation has made the world smaller. Transportation makes people reach from one place to another. There are many ways of transport for short and long distance. For short most convenient and comfortable way is a car. So the car is getting popular day by day. And it has covered many houses. Increasing demand for cars also increase the chances of accidents. So to avoid such type of situation people use the driving recorder. So today I am going to discuss a new driving recorder product. The name of the product is Xiaomi Mi’s driving recorder 1S. Now let’s see how this product is unique from any other driving recorder available in the market. First of all, let’s have a look at its packaging. It comes in a white box which is a contrast in color with the product. As you can see in the image on the top front, you can see the product image is printed. Let’ start with the design of the Xiaomi MI Home Driving Recorder 1S. The design of the product is just like any other ordinary driving recorder available in the market. The look is simple but stylish, and the decor is embellished with its black texture color. To enhance the beauty of the product and to make it more attractive the lens part is surrounded by a gold circle. This golden circle gives the product a stylish and fashionable look. So the appearance and look of the product is simple but fashionable and will match with the interior of your car. If you would ask how Xiaomi MI driving recorder is different from other driving recorder, then it is its shell material. Integrated lightweight aluminum alloy has been used to make the Xiaomi MI driving recorder. This material feels smooth and delicate. The high quality of the material raises its standard from any other driving recorder available in the market. If we talked about the performance of Xiaomi MI Driving Recorder, then it is quite smooth and good. As compared to other driving recorder available in the market the Xiaomi MI Driving Recorder has highly improved image sensor. For better picture clarity it has got Sony IMX307 starlight night vision sensor, and it also has F/1.8 large aperture which you can use during video recording. To see the license plate is more important which is quite difficult at night, so the amount of light entering is better especially at night. You can see in the given image that it has a 3 inch IPS screen. So the display is quite clear, and the experience of playback recording is also good. The Xiaomi MI Driving Recorder 1S is using SigmaStar image processing cheap. This chip supports FHD 1080P video recording. It also uses H.264 high fidelity video encoding technology. The technology helps in reducing 3D noises. The processing chip helps the dash camera to have very clear and details picture quality. The camera comes with a wide angle lens. The viewing angle of the camera is 140 degree. So here you can have very wide angle video coverage. The camera can cover three lanes perfectly, and it also helps in recording more contents. If we talk about the operation, then Xiaomi MI Driving Recorder has many experiences in comparison to many other similar products available in the market. You can control the Xiaomi MI Driving Recorder through language. 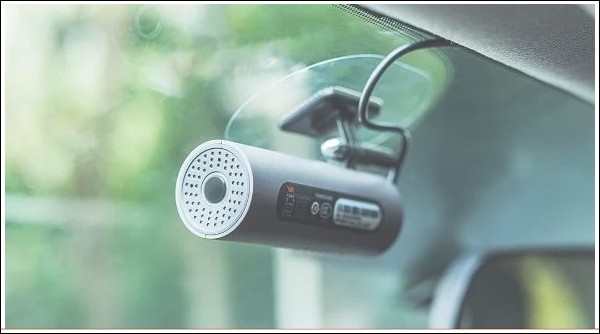 So while driving the car, this device can be controlled by voice. You don’t have to leave the steering wheel. Only your mouth is enough to make it function to take pictures and videos etc. it is not wrong if we say that this driving recorder is for liberating hands. It has also got amazing parking monitoring mode which makes it worth buying. The sensor of the product works amazing. Whenever the vehicle is in abnormal mode or vibrates the driving recorder automatically starts recording and also save it to prevent your vehicle from any type of accident. But when there is no one it does not record anything. It protects the safety of the vehicle. Here is the experience of Xiaomi MI driving recorder 1s. To operate this, you just have to connect the Xiaomi MI driving recorder to your mobile phone app through hotspots. And the APP is also simple and user-friendly. This app can also be used for the up gradation of firmware OTA. As per your needs and situation, you can adjust the settings of the APP. If we talk about the display of the Xiaomi MI driving recorder 1s, then I must say the daytime display of this product is very good. In the daylight the clarity of the picture is quite good and also the color reproduction is quite natural and accurate. And it also covers a wide angle as it has got 140 wide angle lens. 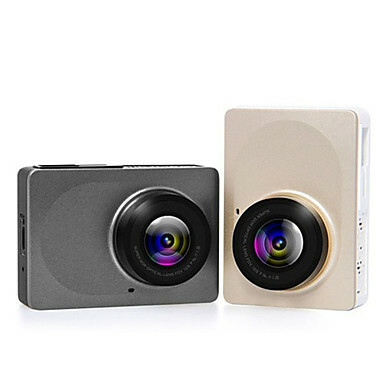 Now come to the night view or dark environment view of Xiaomi MI driving recorder 1S. No doubt it has a great display at daylight, but it also has a remarkable performance at night or dark environment. As you can see in the given image that in underground parking where there is poor lighting condition the recordings of Xiaomi MI driving recorder 1S is still good. And the second third and fourth images are of outdoors at night time. As you can see in the images, the picture clarity is quite good at night time also. Even this camera can capture the license plate,the guide signs, and the buildings perfectly. So overall the Xiaomi MI Driving recorder 1S is a must reference product. It is affordable and also a great product in comparison to much other product available in the market. With the price structure, it has amazing functions with great performance. I will strongly recommend the product to all the car holders. I hope the above review is useful to you and you have got the knowledge on this product. If you have any questions please do comments below. Xiaomi Mi Mix 2($656) vs. Xiaomi Mi Mix 3($599): Is the New Sliding Screen Smartphone worth buying?